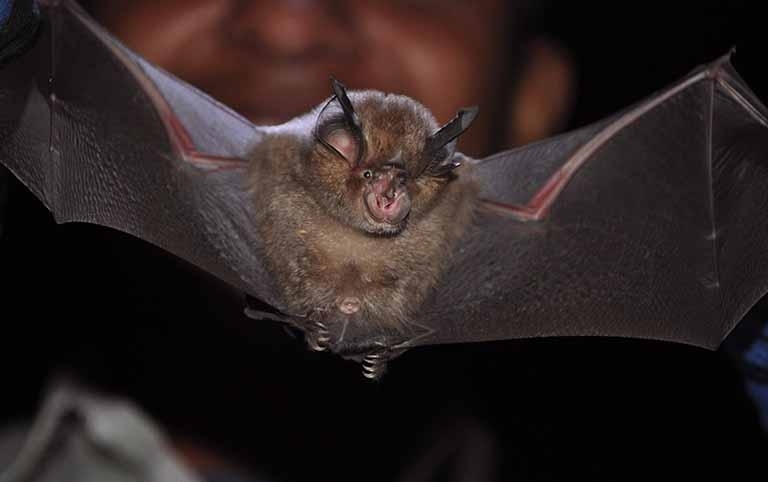 KATHMANDU, Aug 01 : Three new species of bats founds in Kathmandu Valley have been officially recorded. With this, there are altogether 55 species of the mammal bird in Nepal with 1,200 species of bats found in the world. The Small Mammals Conservation and Research Foundation (SMCRF) had conducted a research from August 2016 to April 2018 in various 19 places in the Valley and had found three new species- Cynopterus branchyotis, Myotis frater and Nyctalus aviator, according to Foundation's Director, Sajjan Thapa. Thapa shared that some species of bat were on the verge of extinction due to the loss of their habitat, widespread use of fertilizers and pollutions among others. He said that due to lack of understanding of bat's importance in ecosystem not much interest was shown in its conservation. Bats eat night-flying insects, including agricultural pests and support in pollination. A five-year action-plan has been formulated by the Foundation in consultation with the concerned authority for the conservation of the bats, said Thapa.